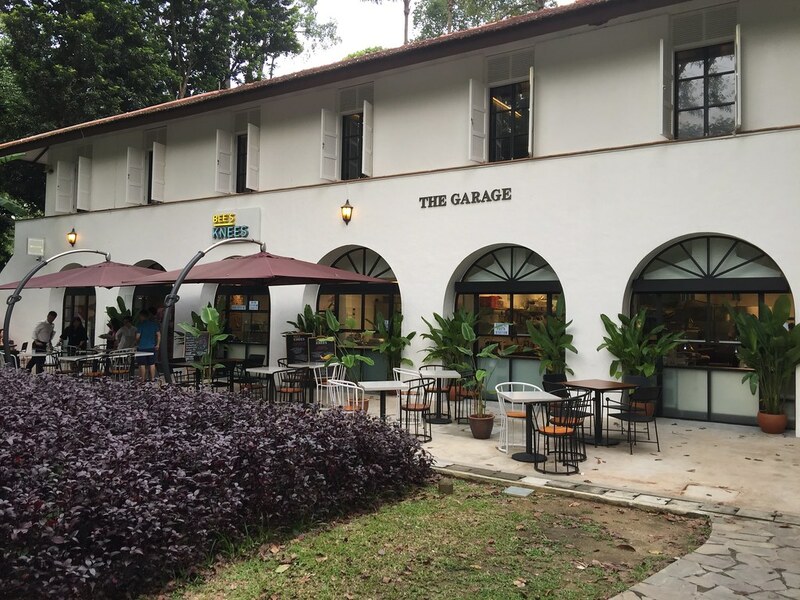 Two new dining concepts has taken over The Garage, a conservation building within Singapore's first UNESCO World Heritage Site - Singapore Botanic Gardens, that was built in the 1920s. Once a stable for cars, the second floor is now occupied by Botanico helmed by Spanish-born Chef Antonio Oviedo. 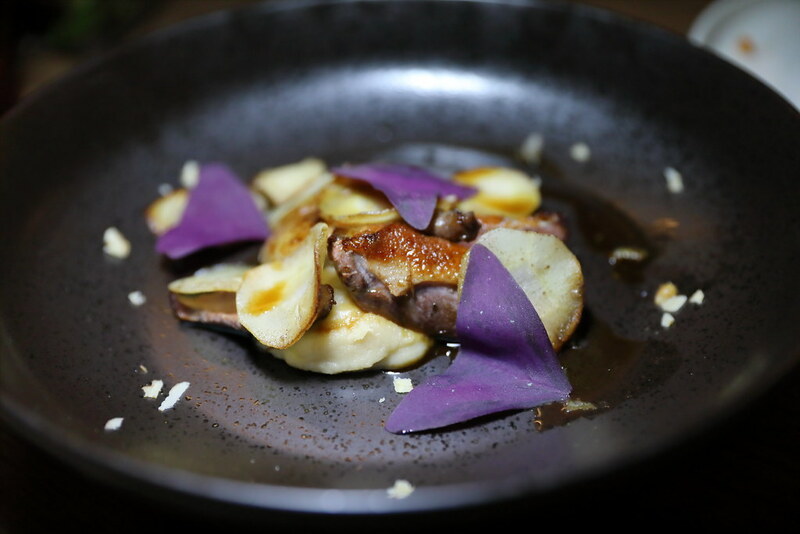 The restaurant offers a contemporary-bistro seasonality driven menu. 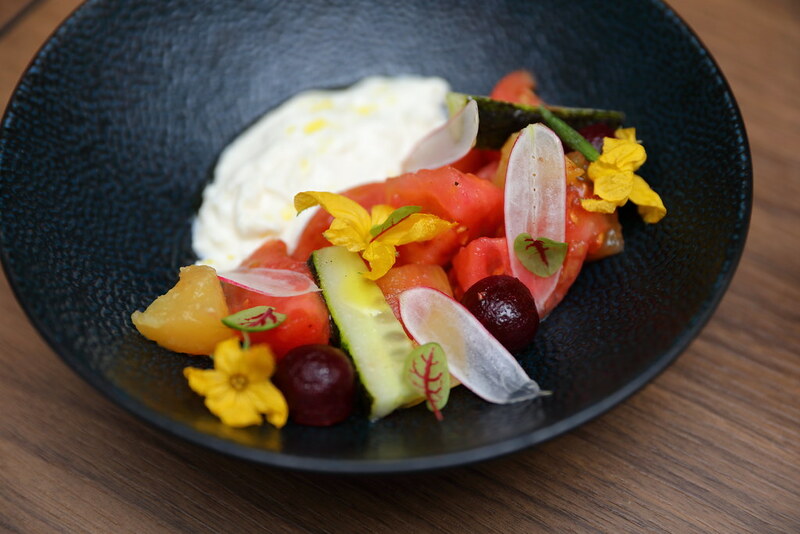 A celebration of summer in the plate comes in the form of the Botanico Salad ($18) which comprises of heirloom momotaro tomatoes, burrata, pickled beetroot, radishes, charred cucumber, fresh figs and edible flowers, dressed in olive oil. Besides the sweetness of the tomatoes, the other highlight on the plate has to be pickled beetroot. The Calamaritos ($12) is simplicity at its best. 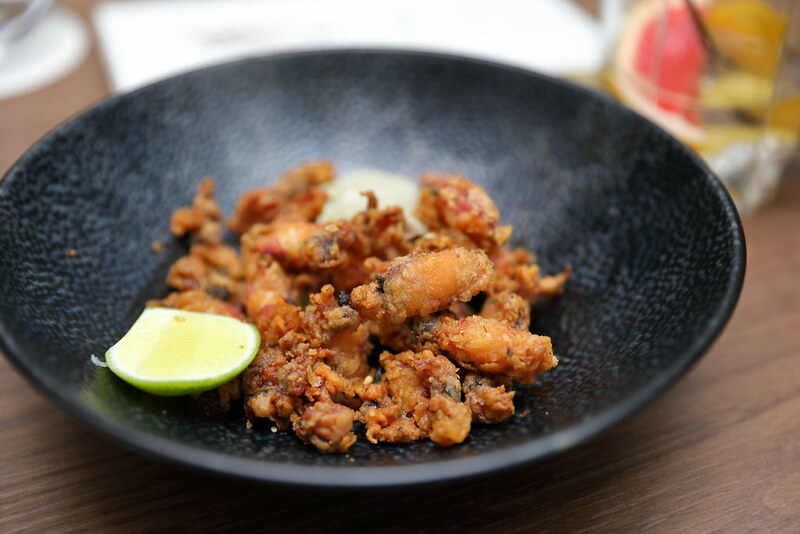 The unmarinated fresh baby squid is coated with tempura flour and deep fried to crispy. Zest it up with a squeeze of the lime and have it with the seaweed aoli to complete the enjoyment. Be warned, this is very addictive. 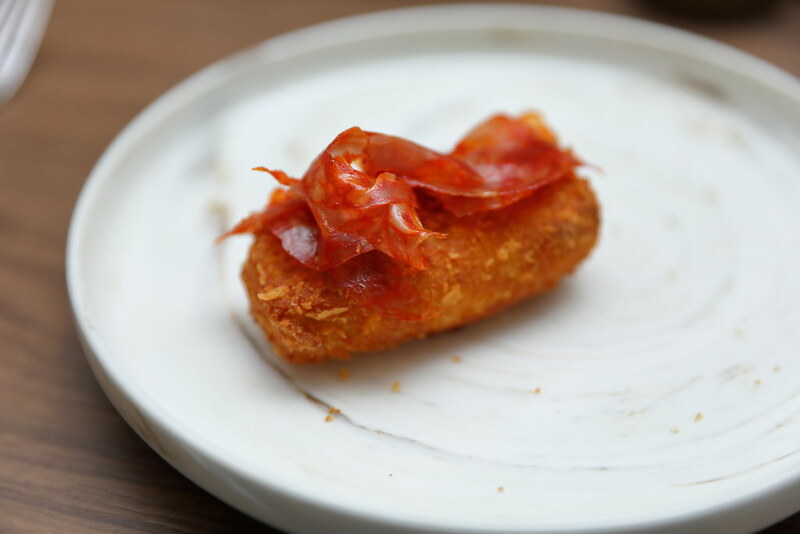 The Croquettes ($14) here is made using smoked Idiazabal cheese emulsion. Idiazabal is a raw unpasteurised sheep milk cheese from the Basque country. The delightful crispy bite comes from the coat of bread crumbs which is deep fried to golden brown. It is then paired with some slices of chorizo for an elevated enjoyment. A smokey aroma filled the air when the Chargrilled Green Asparagus ($12) was served. I was told that the asparagus was smoked with dried asparagus peek in the Inka oven. The crunchy asparagus is then paired with bernaise, tarragon flowers, tarragon leaves, charcoal-grilled hazelnuts and grapefruit segments. 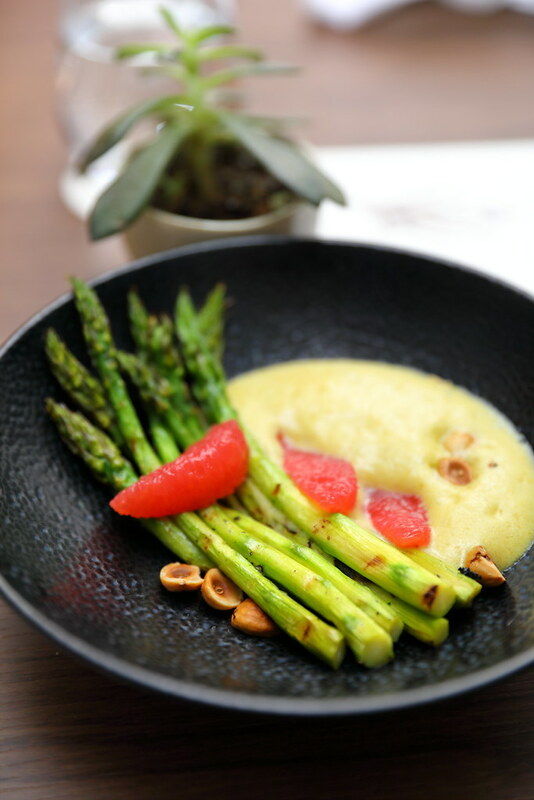 The dish may seems simple but the smart cooking has given it a new form of life to the asparagus. 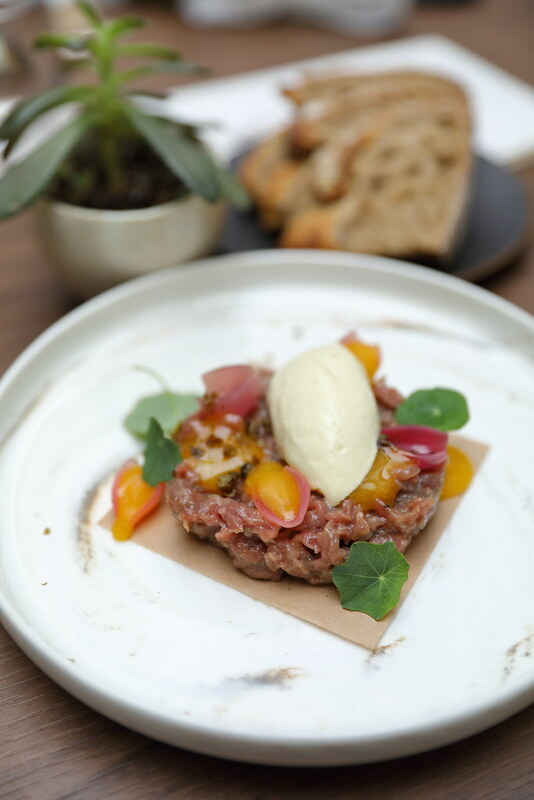 I have eaten many beef tartare but Lamb Tartare ($20) is a first for me. The chopped lamb is paired with black olives arlette, pickled onions, nasturtium and topped with mustard ice cream. This is surprisingly good, with the flavours tickling all the senses, seducing you to eat it up. 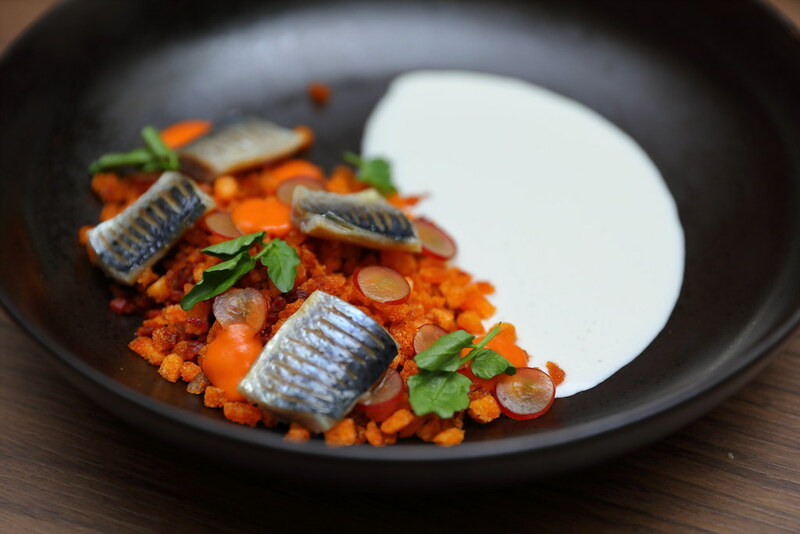 The Smoked Sardines ($20) is a seasonal dish on the menu. We were lucky to have the Japanese sardines known as iwashi which is actually smoked in-house. This is paired with Aijo Blanco (almond, garlic, olive oil), Migas (croutons fried in iberico fat), chorizo bits and Kyoho grapes. 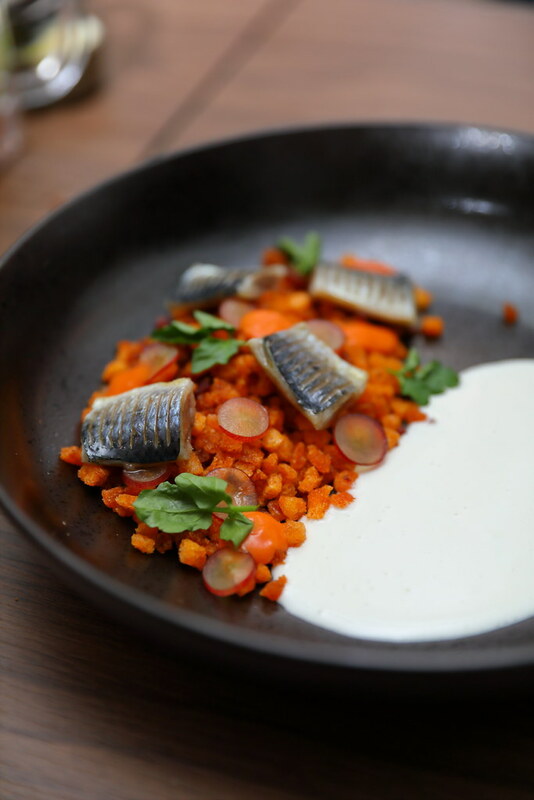 The play of flavours and textures, working harmoniously together made this an amazing dish. Do note, the kitchen may replace the sardines with mackeral if iwashi is not in season. 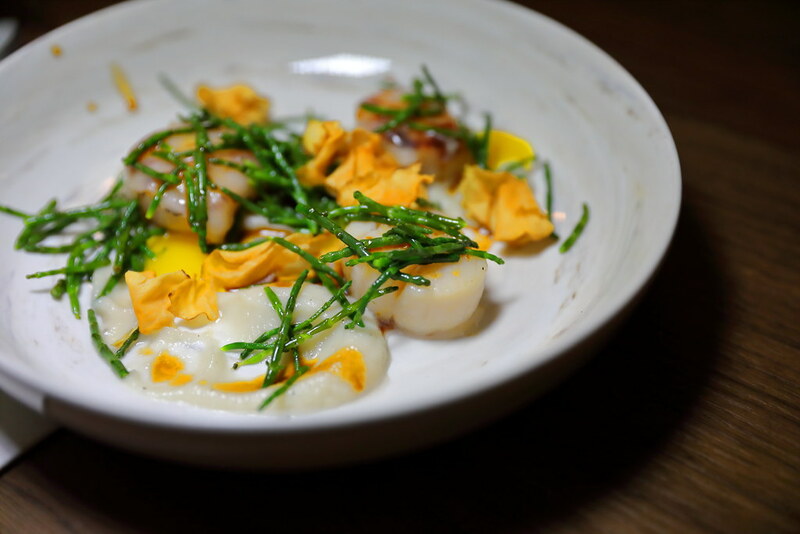 While the rest of the group enjoyed the Japanese Scallops ($27) with Topinambur puree and crisps, iberico lardo and samphire, I have a different view. I like the used of the iberico lardo to enhance the flavours but the samphire did not quite work for me. While it gives the dish a crunchy texture, I thought the earthy flavour throws the balance slightly off. 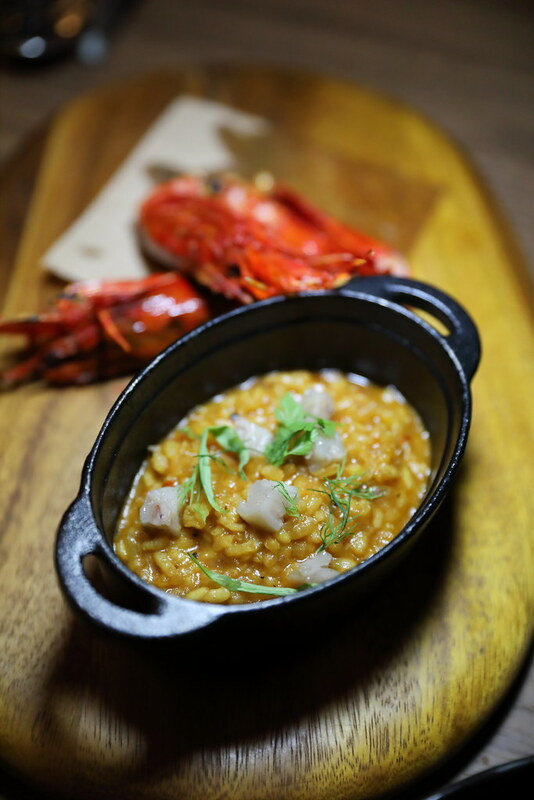 A comforting and hearty dish on the menu is the Chargrilled Carabinero ($28). The scarlet prawns are charcoal grilled in Inka oven and topped with pine nuts. The mellow rice is cooked with Bomba rice and topped with pork trotters cube. I could detect trace of saffron too. The Botanist ($12) is a dessert interpretation of gin and tonic. 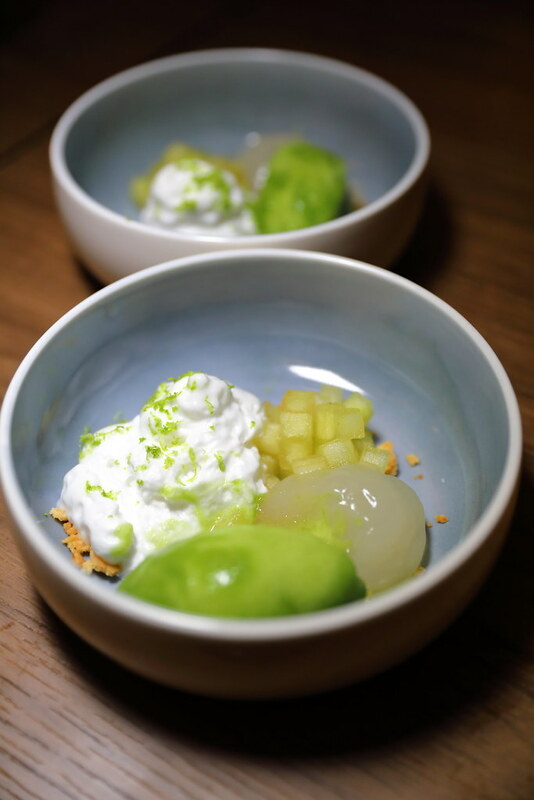 It comes with compressed granny smith apple cubes infused with gin and juniper berries, lime gel, cucumber sorbet, coconut foam, coconut sable crumble, kefir lime zest. My favourite is the cooling and refreshing cucumber sorbet. 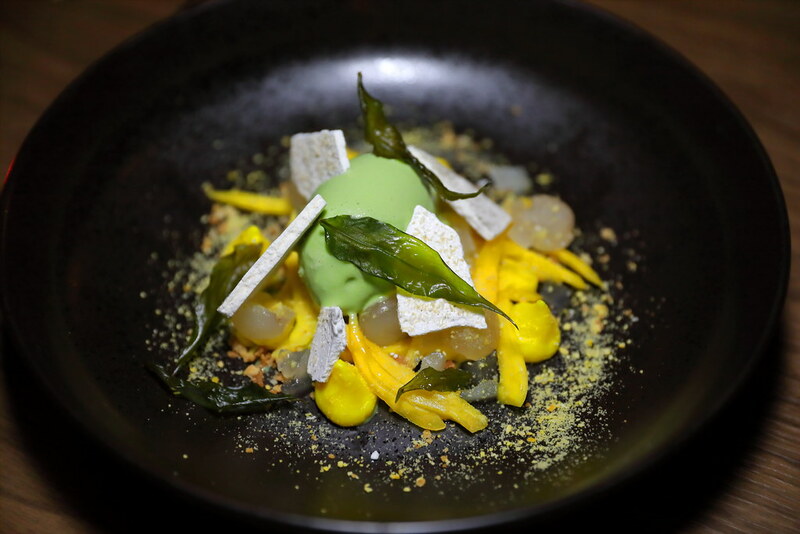 The other dessert, Tropical Fruits ($14) is inspired by the botanical surroundings and tropical fruit trees that used to line the orchard. The highlight on the plate is the creamy laksa leaf ice cream but unfortunately the flavour was masked by the jackfruit's sweetness. It needed some refinement to achieve a better balance. A visit to The Garage is not complete without checking out the hidden bar on the 2nd level at Botanico. The alfresco bar area is actually air conditioned! 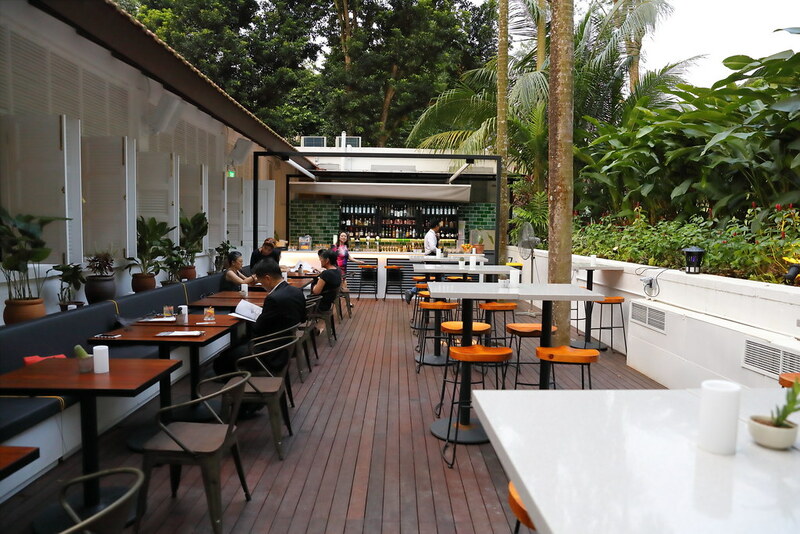 It has definitely set a new benchmark of outdoor dining in Singapore which is air conditioned. It is amazing that the design of the place is able to trap the cool air within, keeping the temperature around 20-25 degree celsius. Oh man everything looks so good - most of all the Botanist dessert! Yes it is. It is a beautiful place too.